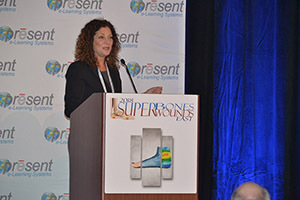 Another vibrant Superbones Superwounds East Conference took place in Teaneck, NJ this past weekend. 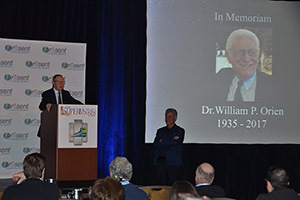 Notable programing included a series of lectures by academic partners, the New York College of Podiatric Medicine with Michael Trepal, DPM, Kevin Jules, DPM, Jeffrey Cusack, DPM and Robert Eckles, DPM, MPH, and the University of Ireland at Galway, with Medical School Dean Timothy O’Brien, MD, PhD, Caroline McIntosh, MS, PhD, Wael Ahmed Tawfick, MB BCh, MRCSI, and Georgina Gethin, PhD, MS. A new addition this year was the first of a series of lectures by lower extremity specialist, Staten Island University Hospital radiologist, Marlena Jbara, MD, who will be creating a complete series on foot and ankle imaging for the PRESENT online CME curriculum. Records were broken as far as attendance, but what we’ll remember most is Douglas Richie, DPM masterfully giving the first Bill Orien Memorial Lecture, the excellent contribution by our Irish colleagues, a full lecture hall on Sunday for our NYCPM faculty’s lectures, and working together with our podiatric community toward the singular goal of improving foot care. Take a look. You never know who you may find... 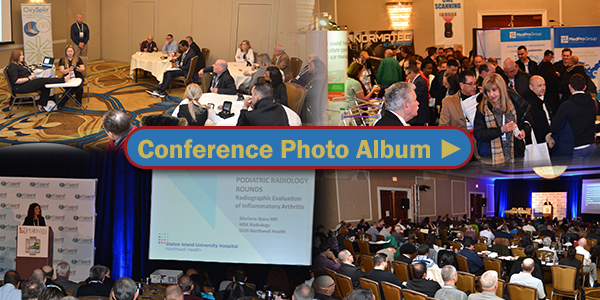 Follow this link or click on the image below to view the Superbones Superwounds East 2018 Conference Photo Album on Facebook. 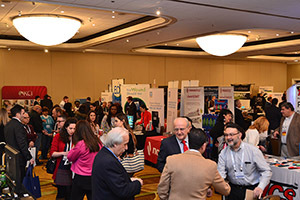 Next year's Superbones Superwounds East Conference will return to the Teaneck Marriott at Glenpointe on April 5-7, 2019. Top-of-foot arthritic pain: best shoes for. Not looking for pix; looking, rather, for topics!